Birman cat breed is a bit greedy, every time we eat whatever food they always want to taste too. 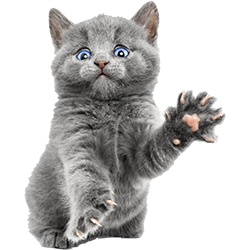 But if you share food with them in a long, it will gradually damage your cat’s health. You can know some reasons from our prior article “10 human food may kill your cat“. 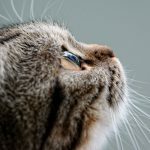 So you should pay more attention to what food cannot give your cat to eat, and what cat food can not let the cat eat too much. Which is the common sense that the owner of cats must master. Today, our cat food advisor will reveal the food that Birman cat cannot eat. Birds and fish bones. Because the birds or fish bones are hard, so, when the Berman cat crushed the bones some sharp pieces will produce, these fragments bones sometimes stabbed his mouth or internal organs. 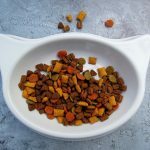 So keep your cat from eating these bones unless the bones are softened or crushed with a pressure cooker and added to the food. Dried fish. Cat food advisor research shows that dried fish contains a large amount of magnesium, which easily induced and lead to Birman cat urethral calculi or urinary system diseases. So try to make the cat eat less dried fish. An adult cat should take in about 0.3 to 0.5 grams of salt a day. So, in the cat’s food, the salt should not be excessive. Fragrant spicy meat. The fragrant spicy meat will make the cat’s sense of smell slow, which not suitable for the cat to eat. For example, the most common KFC chicken, the cat is love to eat, but do not give it to eat. Squid and the shellfish meat contain some ingredients does not adapt to Birman cat. 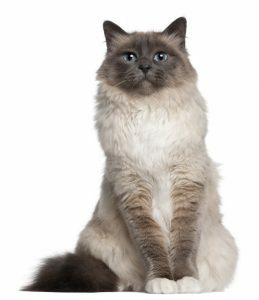 Eating more will cause the Birman cat indigestion and gastrointestinal disorders. Especially dry fish meat into the cat stomach will absorb moisture and expansion, so don’t let the cat eat too much. Some seafood will also cause the cat’s skin inflammation. 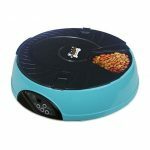 So, feeding your cat with a small amount of seafood, if no bad response then you can give more seafood to your cat to eat. 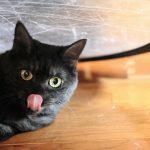 Read more: how to choose the best cat food for your cat. Birman cat breed is one popular cat breed that kid-friendly, pet-friendly and affectionate with Family. Birman cat with well tolerant of children and pets. In life, the Birman cat usually communicates with people in a soft voice. They have become popular members of a lots families. Next Next post:Can Cats Eat Apples? 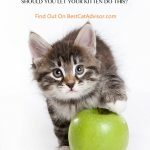 Are Apples Safe For Cats?